I was a very nervous driver. I had tried other instructors but they couldn't help me with my nerves. Ian was brilliant! Easy to take direction from, calming and helped rebuild my confidence. 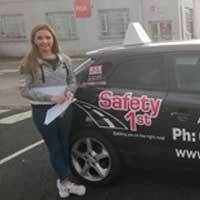 As a result I passed first time. I would highly recommend him for anyone looking for Automatic driving lessons. Ian is very professional and his company know how to steer you through the whole process of a successful outcome when it comes to your test. Everyone is different and assesing each individuals strenghts and weaknesses is what Ian and his company excel in. 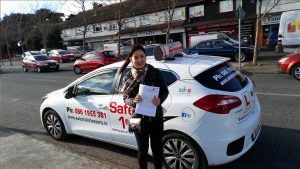 The easy going manner whilst taking lessons matched with the professional step by step process will ensure that not only will you pass your test but you will really enjoy the entire process ! loads of tips and very patient instructor. Also 2018 new car. Would recommend him to anyone learning automatic. Ian was an excellent teacher over all. He was calm, patient and polite especially during feedback. 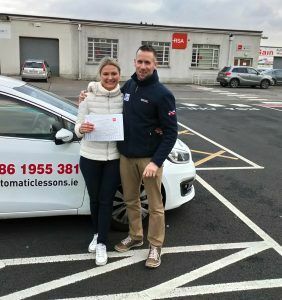 If you need automatic driving lessons in Dublin, I cannot recommend him highly enough. He instructed me throughout the mandatory EDT lessons. As a result of his efforts I passed my driving test first time out. You will 100% get value for your money. 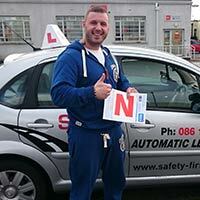 Highly recommend Ian he is a true professional and excellent instructor. Ian was an excellent, teacher over all. He was calm, patient and polite especially during feedback. 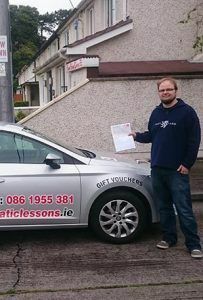 If you need automatic driving lessons in Dublin, I cannot recommend him highly enough. He instructed me throughout the mandatory EDT lessons. As a result of his efforts I passed my driving test first time out. You will 100% get value for your money. Many thanks to my driving instructor Ian ! 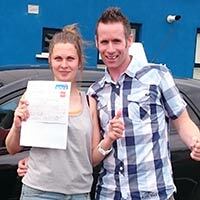 He was so clear, patient, calm and informative giving me and my husband advise for both theory and practice tests. I would highly recommend him. 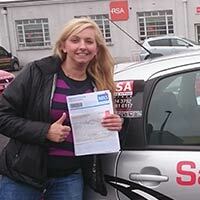 I have an excellent driving lessons experience with Ian. He is very calm, supportive and experienced instructor. He has been very cooperative and helpful throughout. He put in a lot of confidence in me for passing the test. 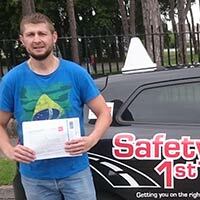 I fully recommend Ian to everyone who is wishing to pass the driving test in first attempt. 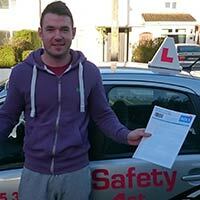 Had Ian as my instructor, we had great lessons and I passed my test first time with no faults. Would definitely recommend! Great bloke. Patient with beginners and flexible on times. Haven't sat my test yet but fingers crossed. Thanks Ian! Ian is an amazing instructor. He is patient, explains everything clearly, and is simply great at what he does. I passed first time thanks to him. He made the process of learning to drive genuinely enjoyable. Thank you Ian! Ian was my teacher and i passed my test from the first try. Thank you Ian for your services i will definitely recommend youu!!!!! Really happy that i got the chance to meet you and be my teacher!!! Thank you again!! 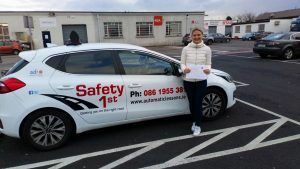 Before I started my EDT I did a lot of research about different driving schools because I was scared to get an impatient instructor who wouldn't have much understanding for someone who has never driven a car before. Now after my 12 lessons are up I can safely say that Ian was the best choice possible. 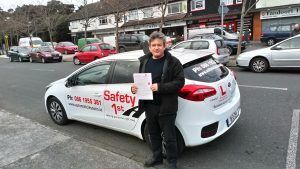 His lessons are very well structured and there is no doubt that it is exactly what I needed to prepare for the driving exam. The best teacher! Thank you for your help, I passed my test from the first try and I am really happy I got to know you and you’ve been my teacher. I am really delighted about your service and I defenitely recommend it!! !THANK YOU IAN . If you have had a lesson with us, we would love to hear from us, please leave us a review on the websites below! 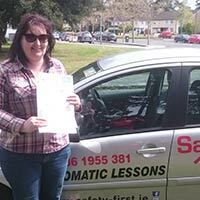 Take the first step to becoming a safe confident driver, learn how to Drive and Automatic Car with us!